After getting hassled by Kickstarter, an online fundraising platform, for daring to list the horrific crimes committed by Kermit Gosnell in their TV movie fundraising proposal, the producers of this daring documentary decided to move their project to Indiegogo rather than knuckle under to Kickstarter’s manufactured non-starter ‘guidelines’. At Indiegogo, the Gosnell film project has raised just under $500,000 in just a matter of days. The financial goal here is to raise a total of $2,100,000 within the next 34 days. If the funding goal is not reached, all donations will be returned to the donors. You can donate as little as $1.00 to help get this important film project up and running. The video below is an introduction to the filmmakers, Ann McElhinney and Phelim McAleer, and explains why they have chosen the Gosnell Horror for their next project. These are the same film folks who produced FrackNation. 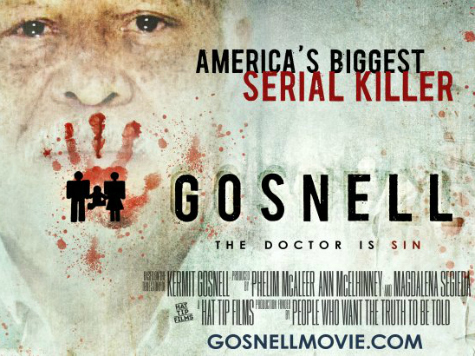 To contribute to the campaign, click on the Gosnell Movie link. This entry was posted in Media/Arts/Entertainment, Political/Social and tagged Abortion, Ann McElhinney, filmmakers, FrackNation, fundraising, hollywood, Indiegogo, Kermit Gosnell, Kickstarter, Phelim McAleer, TV movie. Bookmark the permalink.